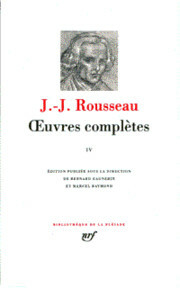 Julie, or the New Héloïse (French: Julie, ou la nouvelle Héloïse) is an epistolary novel by Jean-Jacques Rousseau, published in 1761 by Marc-Michel Rey in (Amsterdam). 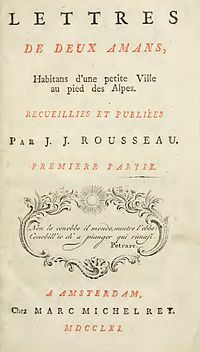 The original edition was entitled Lettres de deux amans habitans d’une petite ville au pied des Alpes (« Letters from two lovers living in a small town at the foot of the Alps »). 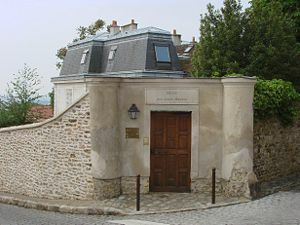 The novel’s subtitle points to the history of Héloïse d’Argenteuil and Pierre Abélard, a medieval story of passion and Christian renunciation. The novel was put on the Index Librorum Prohibitorum. Although Rousseau wrote it as a novel, a philosophical theory about authenticity permeates through it, as he explores autonomy and authenticity as moral values. 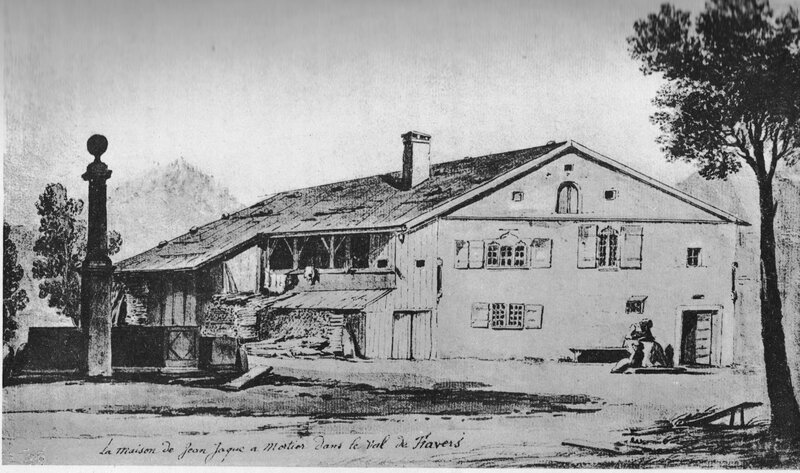 A common interpretation is that Rousseau valued the ethics of authenticity over rational moral principles, as he illlustrates the principle that one should do what is imposed upon him by society only insofar as it would seem congruent with one’s « secret principles » and feelings, being constituent of one’s core identity. Thus unauthentic behavior would pave the way to self-destruction. I dare not tell you the effect it made on me. No, I was past weeping. A sharp pain convulsed me. My heart was crushed. Julie dying was no longer an unknown person. I believed I was her sister, her friend, her Claire. My seizure became so strong that if I had not put the book away I would have been as ill as all those who attended that virtuous woman in her last moments. Many people who have read your book and discussed it with me assert that it is only a clever fabrication on your part. I can’t believe that. If so, how could a mistaken reading have produced sensations like the ones I felt when I read the book? I implore you, Monsieur, tell me: did Julie really live? Is Saint-Preux still alive? What country on this earth does he inhabit? Claire, sweet Claire, did she follow her dear friend to the grave? M. de Wolmar, milord Edouard, all those persons, are they only imaginary as some want to convince me? If that be the case, what kind of a world do we inhabit, in which virtue is but an idea? Other readers identified less with the individual characters and more with their general struggles. They saw in Julie a story of temptation, sin and redemption that resembled their own lives. ^ Darnton, Robert. 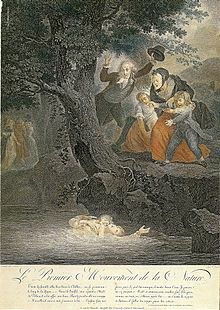 The Great Cat Massacre and Other Episodes in French Cultural History. New York: Viking (1984), 242. ^ Qtd. in Darnton, 243. ^ Qtd. in Darnton, 245.